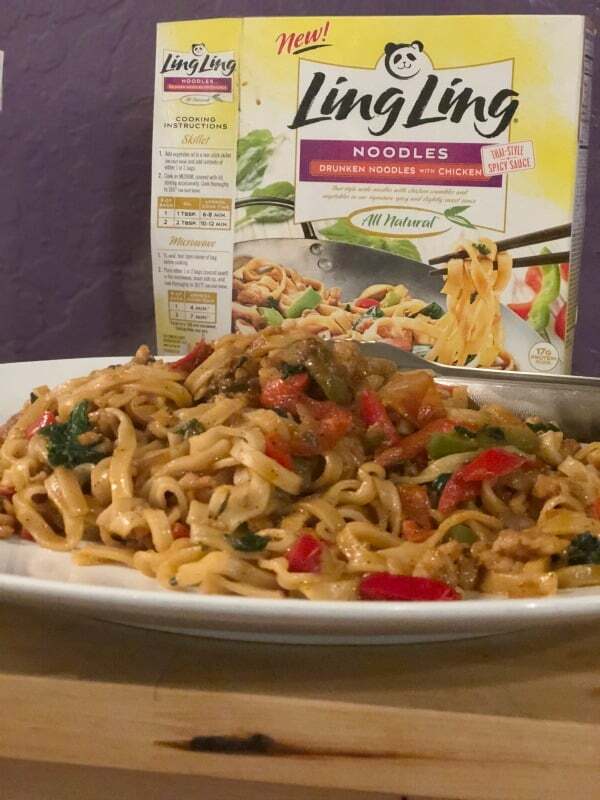 Earlier this week, I went to San Francisco to learn all about Ling Ling Asian Food products AND Chinese New Year! Did you know that this is the year of the dog? I have no clue. 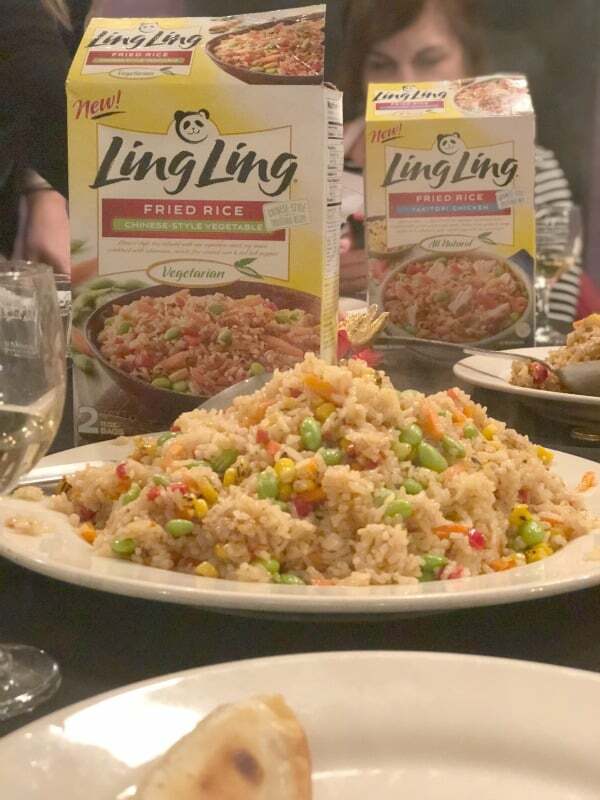 Learning about the Ling Ling Asian Food product line and Chinese New Year was such a blast. We were able to feast on fried rice, pot stickers and noodles. OMG, those pot stickers and drunken noodles were out of this world! Whoever thought it would be so easy to make pot stickers from the comfort of your kitchen!? 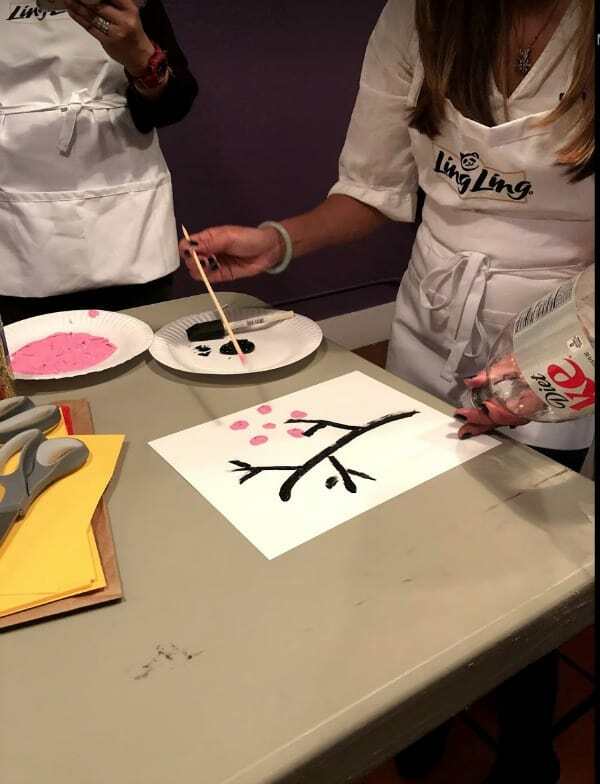 Not only did we get to feast on some yummy Asian dishes, we made some fun crafts, perfect for Chinese New Year. One of those crafts was making a Cherry Blossom painting. Super easy and fun! You simply paint a brown line on the paper, then dip the end of a 2-liter into pink paint and place around the brown line (the branch). Super easy and fun for all ages! Ok, back to the food since I know that’s what ya’ll really care about! The fried rice dishes are from Japan AND China! Again, super authentic and you can get the Chinese Style Vegetable or the Japanese style Yakitori Chicken (pictured). Packed with proteins and super yummy flavor. Okay, now onto my favorite dish of the night. Don’t get me wrong, I loved everything but I seriously ate like 10 of these bad boys! The Ling Ling potstickers are made with chicken or pork. You’ll also find vegetables in the potstickers with a delicious dumpling wrapper. Even better, you get the Ling Ling dipping sauce with them! 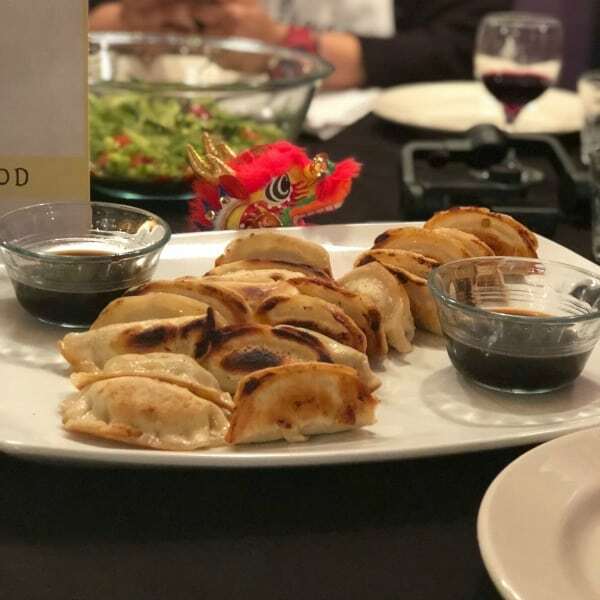 Well known and well loved Ling Ling potstickers are made with delectable chicken or pork, and tender vegetables expertly combined in a mouthwatering dumpling wrapper. Each comes with Ling Ling signature dipping sauce. Make sure you grab some of these delicious products for yourself. Find out where to buy here.